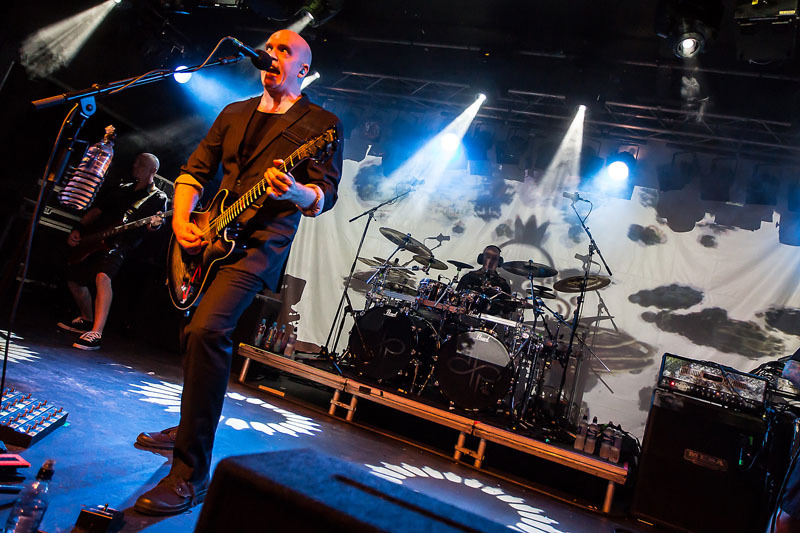 Devin Townsend tore our main hall a new one last Thursday night, with his unique brand of industrial, proggy, metally, dreamlike... ok, there is actually no way of really describing his music. 'Different' may just about cut it! 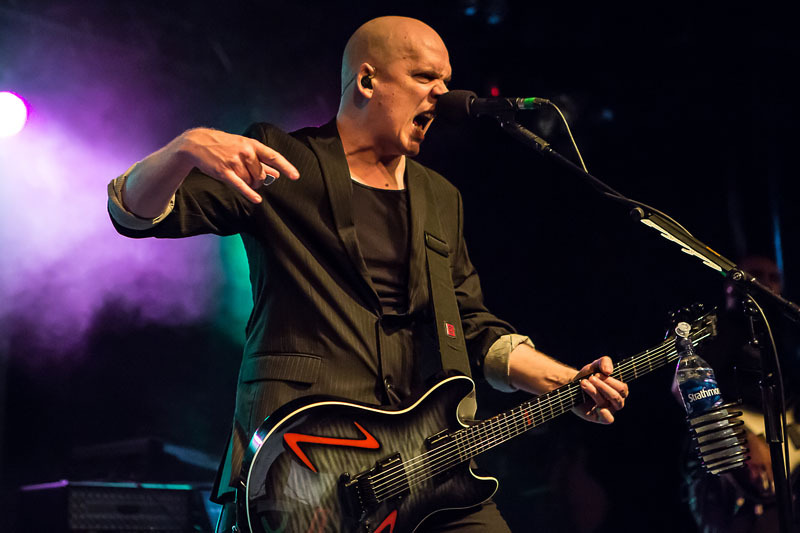 But, in one of two warm up shows for Sonisphere, Devin played one of the gigs of 2014 at Rock City. 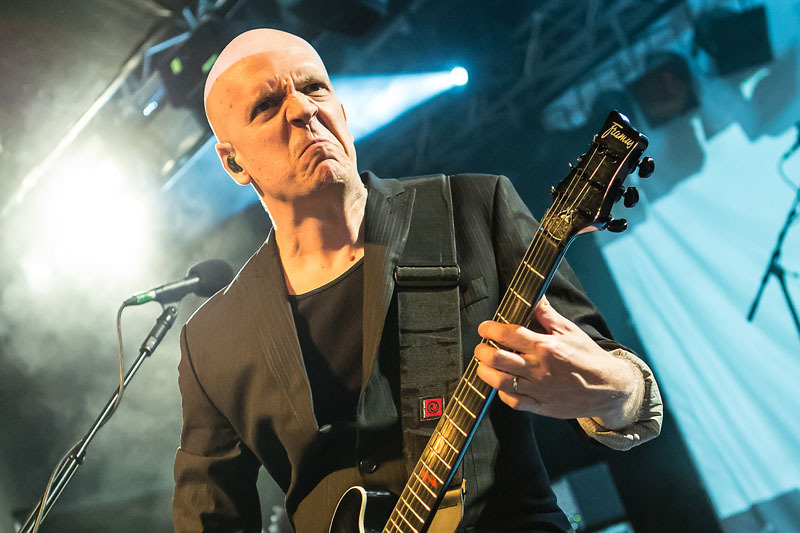 Rock City tonight hosts the first of two warm up gigs for the Devin Townsend Project before his appearance at Sonisphere this Sunday on the main stage, as he stated on stage ‘to go from months of mixing in the studio to live performance is a big jump’ hence the gigs and also I suppose to give the fans a chance to get to see him without paying festival prices. The venue although a bit sparse for the support bands Empire and Thine steadily fills up as we approach the 8.30pm kickoff for DTP and there is a great buzz of anticipation around room which is matched by the many merch-clad fans. The lights dim and the video screens flicker into life, now personally never having witnessed a Devin show I could have been led to thinking someone had spiked my drink as the weird and wacky videos of Ziltoid and various others rolled out but when it came to the dancing cows! I was gone, udder udder madness. Devin wanders onto the stage and is greeted by a hugely enthusiastic crowd and he actually seems overwhelmed by the reaction and lauds it up, after a quick bit of banter and some guitar glitches we are thrown into his musical mind with a setlist that spans his solo and DTP work back to 1997 and Seventh Wave through to 2012 with Liberation. Like his mind, the music bounces around styles proggy, industrial but overall heavy and precise. He is joined onstage by Dave Young (guitar), Brian Waddell (bass) and Ryan Van Poederooyen on drums who provide the tight backline. It all kicks off with a ‘Seventh Wave’, ‘War’ and ‘By Your Command’. ‘War’ is more of a pop sounding song than most of his work but gives the crowd a chance to join in. Devin is on form with his banter and pops in snippets of info as he seems to be really enjoying the show and he makes a jaunt into the photopit to be up close and personal with the fans. As the set winds through the albums and gets extremely proggy, which was a surprise to me as I always had him as a more heavy/mental outfit. ‘Liberation’ gets the tempo going again and the crowd that has been very emotive and responsive all night gives their all to the anthemic ‘Grace’ as they all hail the mighty Devin. After an ‘Old Man Break’ of 2 minutes the band who haven’t even left the stage break into the last track of the night ‘Bad Devil’. For my first experience of Devin I have to say it was an awesome, involving, experience both visually and audibly. Sonisphere… you are going to enjoy! Review and photos by Simon Dunkerley, with thanks. Visit their website at http://getreadytorock.me.uk for more awesomeness like this!